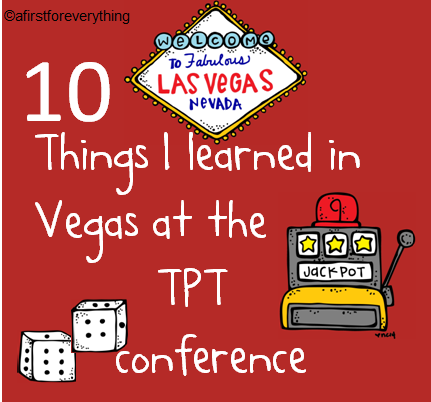 I'm linking with A Burst of First to share what I have learned in Las Vegas at the first ever TPT conference. All of these people, who I consider superstars: Greg Smedley, Deanna Jump, and Cara Caroll (hello! Yes, Cara Caroll!!!! ), and Paul Edelman (the founder of TPT) are truly the nicest, sweetest and most down to earth people you could meet. I felt so embarrassed to go up to them and ask for their pictures but they were so good about it, and I think they were as honored, as well. I am in the black and white dress, my friend Amy has the long hair, and Amna from Teach to Reach is wearing the scarf. Greg Smedly of Kindergarten Smorgasboard is in the pic on the top left, Paul Edleman is in the pic on the top right, Deanna Jump from Mrs. Jump's Class is on the bottom left and Cara Carroll from The First Grade Parade is at the bottom right. Watermark your photos. 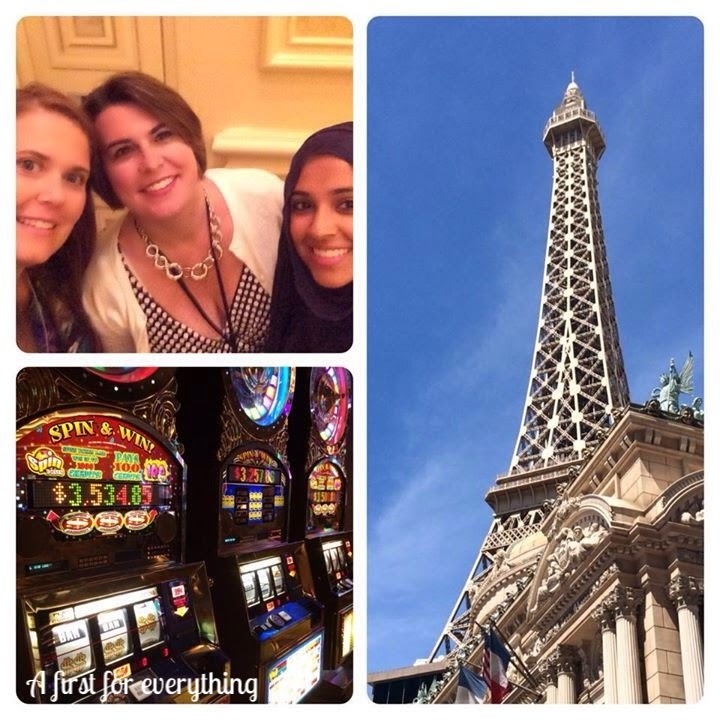 You can use apps such as A Beautiful Mess (my favorite) or Pic Monkey to watermark your photos. This is important when images get pinned on Pinterest so that the images can always come back to your blog and hence, your work. which is really a smaller version of my blog header. Perhaps stating that my products are geared for K-1 students would be best. Add that to my "to do" list. I'm still in my Pj's and its noon! I really have to get to that grocery store sometime today!!! Add a page with the Common Core Standards to your products. This is especially helpful for those who need to show proof of teaching with the standards. It is also helpful for "I can" statement cards, essential questions, or goals/objectives if they need to be posted in classrooms. I know I am required to post objectives in my classroom. You can use Picassa to make page previews. Apparently, if you design in Powerpoint, you can save each slide as a JPEG. Then, upload those JPEGS to Picassa and it will put them into a collage. What the what?!! I never knew that! I have spent hours screenshotting, clicking, cropping, dragging. Yeah. Love that! Quality over quantity. Spend your time making sure your work is outstanding rather than trying solely to fill your store. Deanna Jump made a point that will forever stick with me: "Someone was willing to spend their hard earned money on that product that they otherwise may have spent on groceries." Teachers are amazing, sweet, kind, caring, and wonderful people. I had not a thing to be nervous about, as is most often the case with things that I worry about. I made some great friends, had some incredible experiences, and learned a ton! I'm so glad I did it! It sure was worth it and heck, I may even do it again! In fact, I know I will! What a great post. As a new seller I appreciated your links to the good stuff! I wish we would have had a chance to get to spend time together! Hopefully next time! I was super scared to and had my mom and hubby & kiddo travelling with me! Everyone was super nice! Thanks for sharing! Wonderful post Julie!! I'm going to make sure I get to go next year. Already started saving:) I had no idea you could do screenshots with Picassa. I'm going to have to try that!! I really enjoyed your post! What a great collection of 10 things you learned! 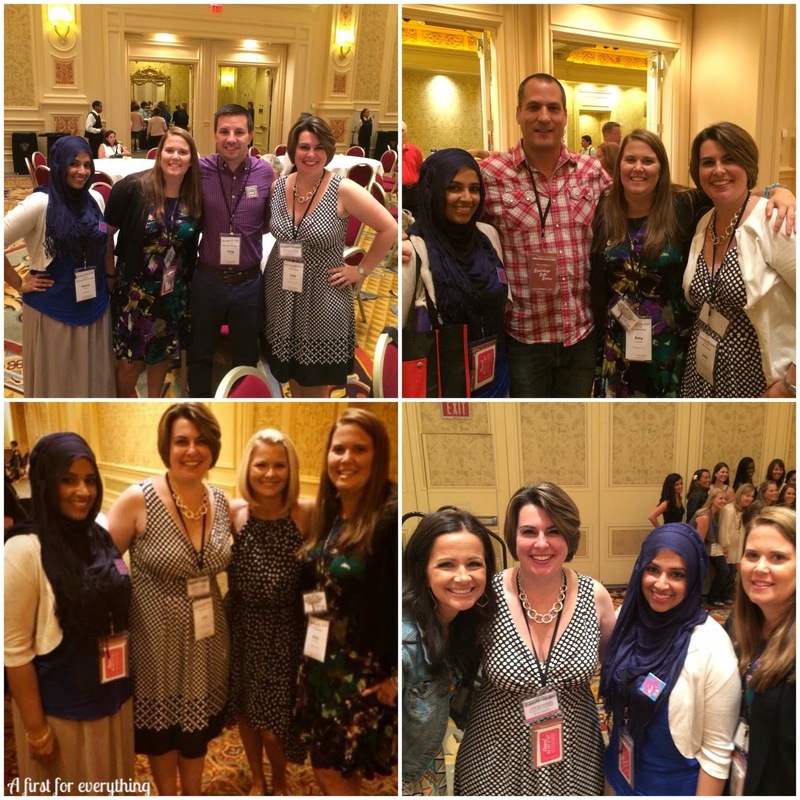 It was great to meet you at the TpT conference in Vegas! You definitely shared some great points!! Another one of my favorites that I learned while there was to mark comments on your products and other peoples products as useful when they are awesome comments so that they stay at the top! I had no idea you could "move comments up" but now I know! :) I hope to stay in touch via the blogging world! It was great to meet you as well, Heather! Let's definitely keep in touch! Thanks for posting your top then that you learned in Vegas. I found you through the forum where you had posted this blogpost. 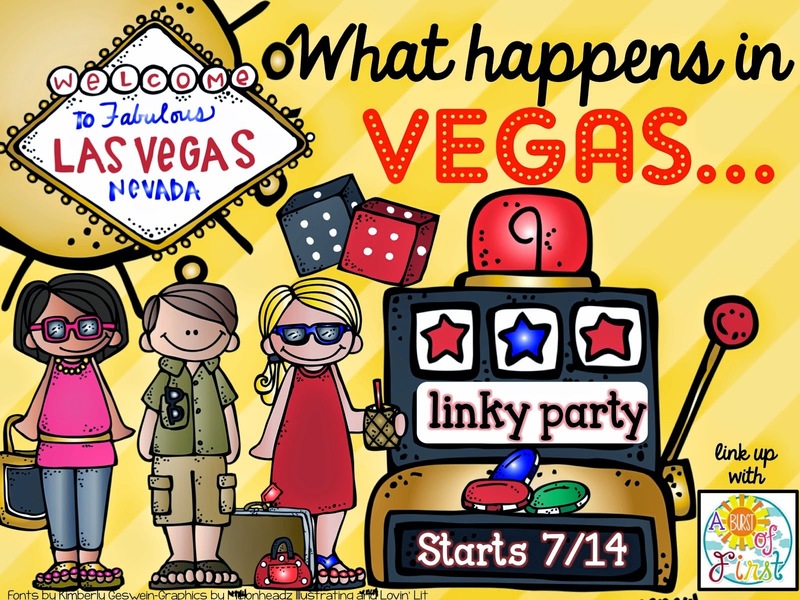 I didn't have the chance to go to Vegas because of the time and money constraints, but definitely plan to next year! Thanks for posting this! 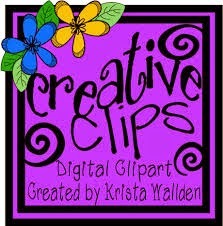 I really need to watermark my stuff and get a TPT banner in my store! On the to do list! I love your top 10!! I agree, finding good fonts is hard, when you are investing money in everything else!! 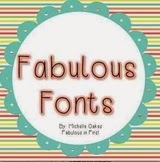 Another great place to look for fonts is Kevin and Amanda's fonts. Google search that, and you will find their site. Their fonts are all FREE!! i love it!! A First for Everything is a participant in the Amazon Services LLC Associates Program, an affiliate advertising program designed to provide a means for sites to earn advertising fees by advertising and linking to products on amazon.com. 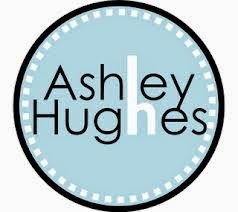 If you follow one of these links and make a purchase, I may receive a small commission.There is absolutely no obligation to purchase using these links but please know that when you do, you are helping to support this blog and make it possible to share ideas with you and other teachers. 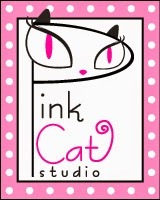 Graphics by Lovely Tocu and Pretty Grafik Design.